Designed for a one machine hook-up, kit #1 comes complete with installation instructions and an accessories list for expanding your dust collection system in the future. I bought three of these products a month ago and I am glad I did. We ordered this kit after ordering the dust collector. The dust collector was on back order we were told. To date it still has not arrived. As soon as it does; I will be able to comment. I am anxious to receive it. 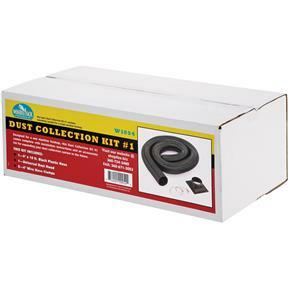 I bought dust collection kit #1 few weeks ago. The box showed up half open and not taped very well at all . The clamps were missing and had to reorder those at no charge to my shop. Just annoying delay. Got my clamps about a week later. Needless to say I was not impressed with shipping dept. I have been missing these parts for a long time. Your service and parts made my dust collector very functional again!! Had everything I needed to set up the G1163P dust collector except the ground wire. Consequently, I believe some grounding wire would make this kit perfect. As a side note, the wire was just a very few dollars at a hardware store. Because of the wire not being included I would actually give this 4 1/2 stars if possible, but since the kit is better than good I will go with the 5 stars. Thinking of getting another, and I'm sure when other contractors see it they will buy one too. 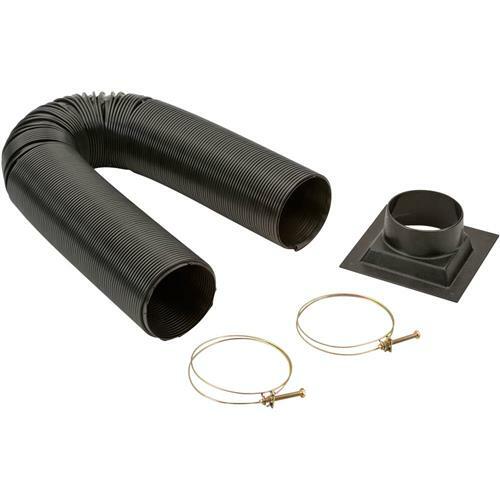 I purchased this to connect the 1hp dust collector with some of the smaller shop tools, seems to do the job. Kit worked ok. I had to learn as I went. Make sure parts are compatible if ordered from different sources. Inside and outside measurements need to be compatible.